Road trip; freedom, fresh air, countryside, open roads and beautiful scenery, which can very quickly turn into crazy drivers, roadwork delays and unexpected snow covered roads. One of our greatest adventures that we have done together was drive around Australia so we were very excited to drive around central Europe. It was going to cost us £30 to hire a car from Avis to drive from London to Dover and then £70 to catch the ferry from Dover to Calias, France. £70 for two FOOT PASSENGERS! And £40 if we had a car and up to 4 passengers….didn’t make any sense, so we decided to find different means. Looking on a car sharing website called BlaBlaCar we found a lady driving Dover – Calais via the Euro Train for £15 each. This was perfect and so much cheaper. Having a nice family dinner at Nana’s house, my Aunty and Uncle dropped us at the train station where the lady driving us to Calais asked to meet. Saying goodbye we waited for about 20 minutes (9PM) for ‘Curly D’ to arrive. Curly was lovely, we talked the entire trip and arrived in Calais at 1AM (after the time change). The Euro Train was awesome, the travel time was just over 30 minutes, so quite a bit quicker than the ferry. 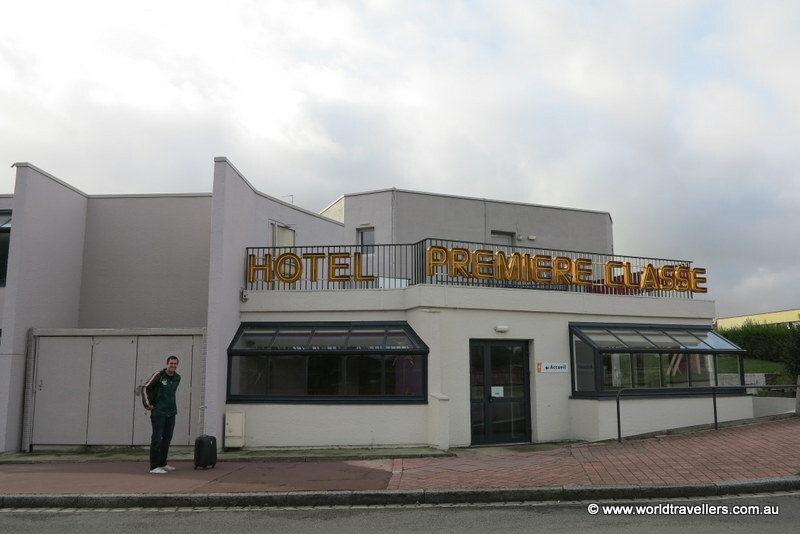 When we arrived in Calais we booked into a hotel room which was €40 and went to sleep. 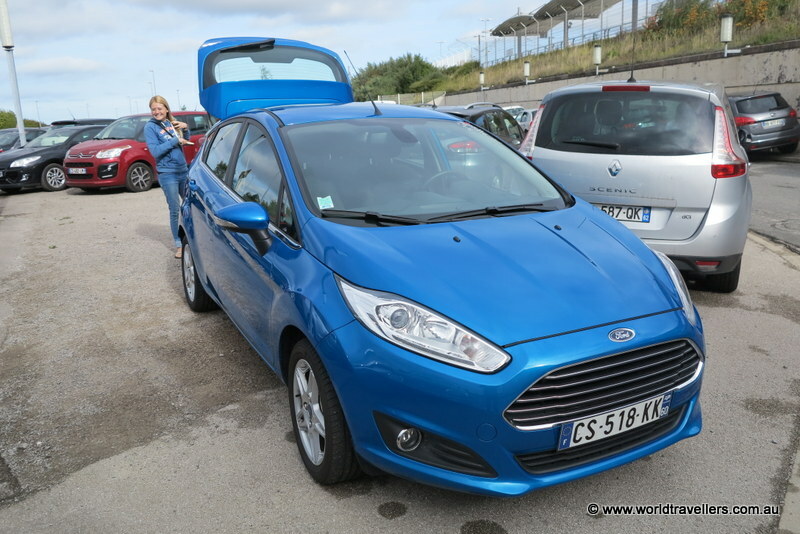 The next day we collected our electric blue Ford Fiesta from Avis Car Rental – Tim found a sweet deal online, which made the car equivalent to $20 a day (including insurance).The Fiesta was compact and diesel, so we were hoping to get a lot of millage out of a tank. Hitting the road we were bound for Regensburg, Germany, where our friends lived. 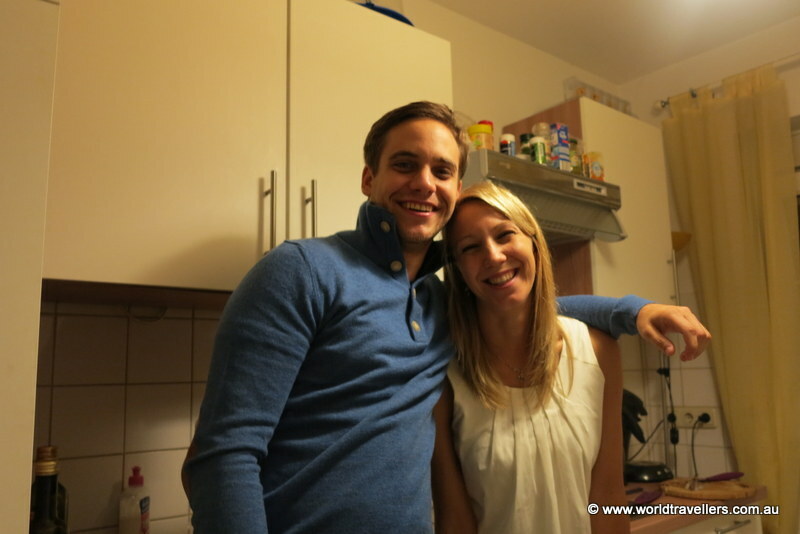 Tomorrow Oktoberfest was on the schedule, so we needed to make it to Regensburg tonight. Driving across France, through Belgium and halfway across Germany, we finally arrived in Regensburg at 1AM after 13 hours driving. It was so lovely to see our friends again; Trixi put together a German feed of pretzels, meats and cheeses for us, which was delicious.